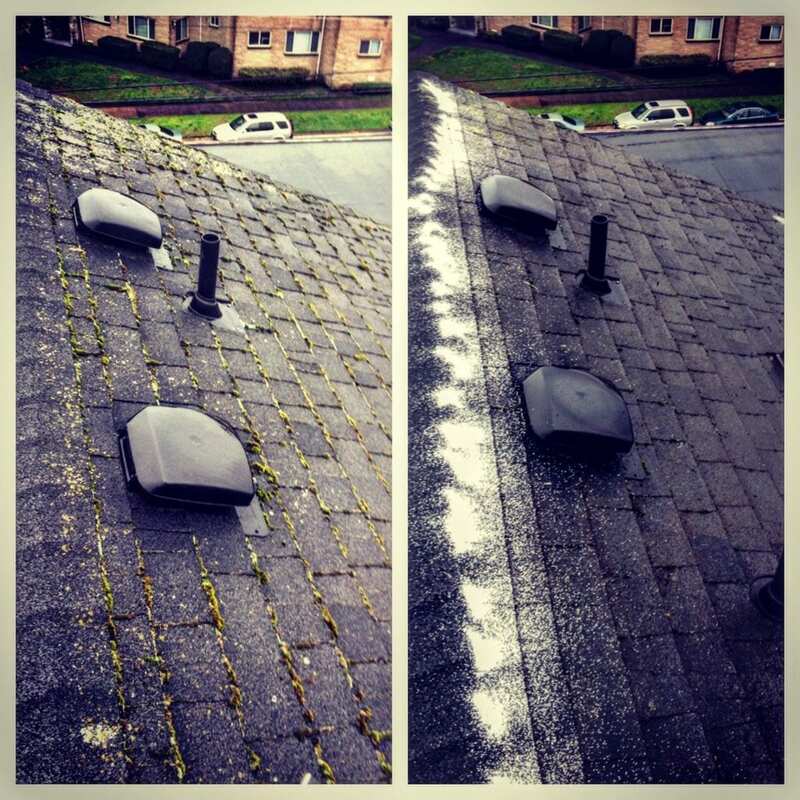 There are many things to love about the Northwest, from our super bowl champion Seahawks to our beautiful surroundings, but one negative aspect that Northwesterners deal with that most parts of the country don’t is moss on our roofs. It’s something you might not notice until it’s too late. Moss can develop as fast as over one fall season, usually being prevalent on the north side of houses and located on spots of the roof which are covered by trees. The ill-effects of moss can dramatically shorten the life of your roof. Moss soaks into shake and asphalt roofs causing shingles to become brittle and in worst case scenarios leads to water damage. At World Glass Window Cleaning we recommend having your roof looked at during your annual gutter cleaning. In cases of light moss, a moss treatment application may be the only step needed to alleviate the problem. If heavy moss has entrenched itself a removal is needed. 1. A gentle brushing, which removes 90% of moss. 3. And finally, an application of zinc monohydrate. This kills any remaining moss and also acts as a preventative for 1-2 years. If you have any questions about removing moss from your roof or treatment, please don’t hesitate to contact World Glass Window Cleaning.